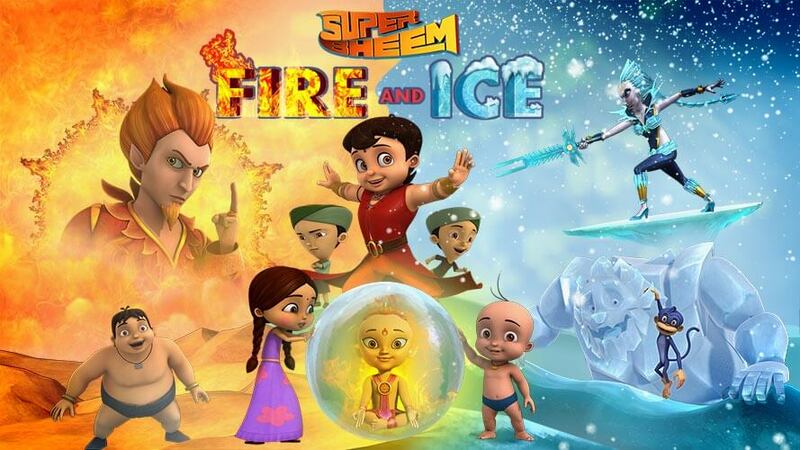 SUPER BHEEM IS THE VALIANT HERO OF ALL THE GALAXCIES COMBINED. 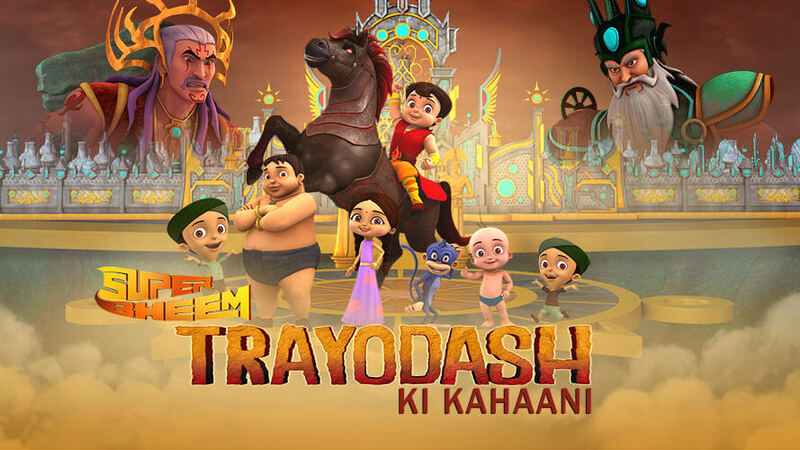 HE AND HIS TRUSTED GANG OF CHUTKI, RAJU, KALIA, JAGGU AND DHOLU-BHOLU TRVEL TO FANTASTICAL LANDS BEHIND OUR IMAGINATIONS AND THE ONLY WAY TO THESE REALMS IS THROUGH THE MAGIC PORTAL. 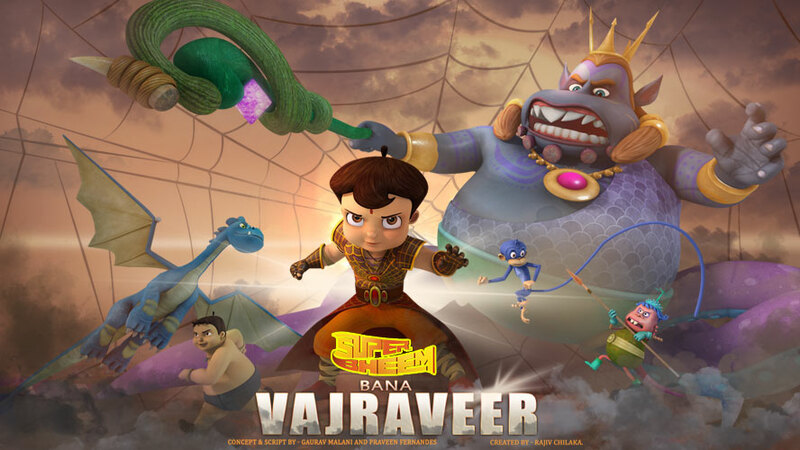 THE EVERHELPFUL AND POWERFUL SKY DRAGON ONLY TRUSTS BHEEM TO SOLVE EVERY PROBLEM IN THE DEPEST CORNERS OF THE GALAXY. 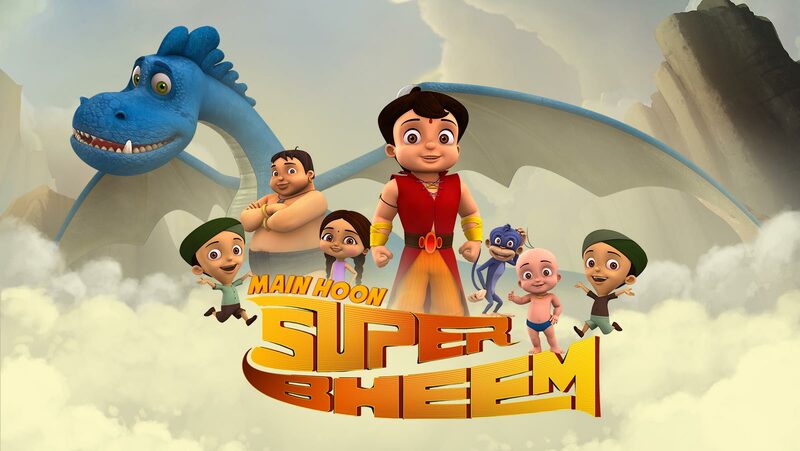 SUPER BHEEM'S GANG ALSO HAVE THEIR OWN POWERS-FROM SUPER SIGHT TO SUPER STRENGTH AND EVEN HEIGHTENED ANIMAL INSTINCTS, THEY OFTEN AND SUPER BHEEM IN FIGHTING VILLAINS THAT SEEM MIGHTY AND UNBEATABLE. 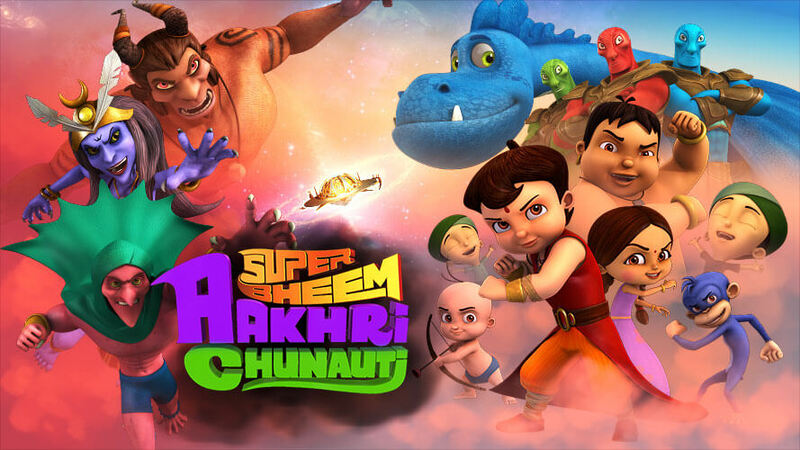 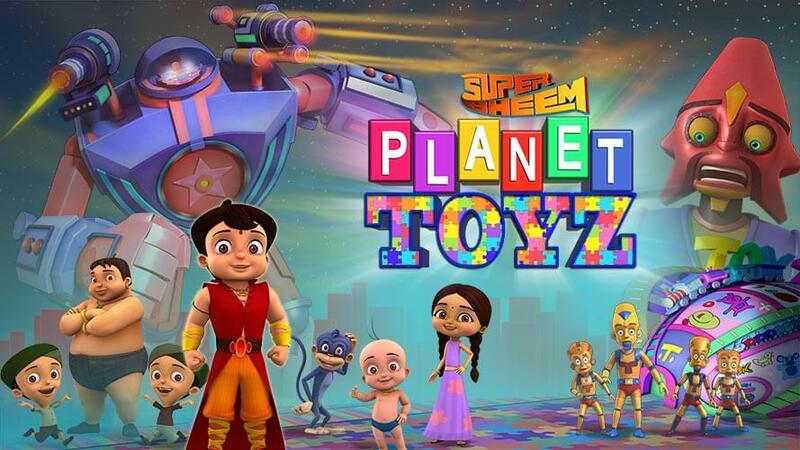 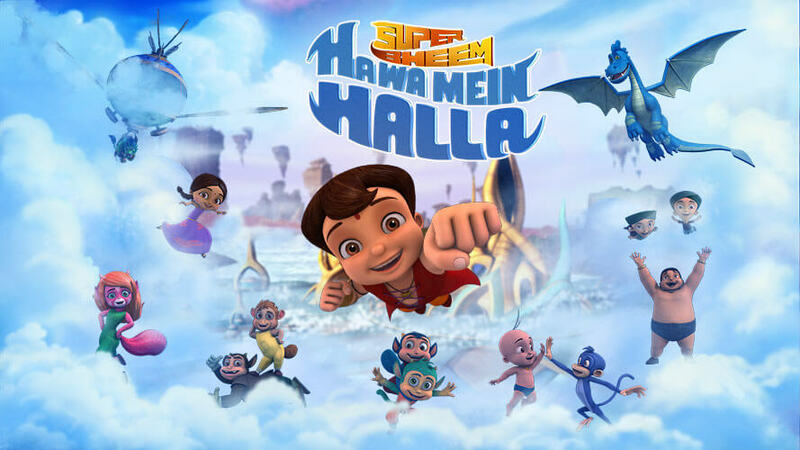 WHAT STARTS OFF AS A DAY OF FUN AND PROLIC OFTEN TURNS INTO GARGANTUAN PROBLEMS FOR THE GANG, BUT THESE BRAVE KIDS CAN TACKLE EVERY OBSTACLE WITH STYLE.CATCH SUPER BHEEM AND HIS FRIENDS ON ALL THEIR MIGHTY ADVENTURES ALL OVER THE UNIVERSE.